Buy SYTY-20 automatic glue pudding/rice dumpling making machine - Shandong Leader Machinery Co.,ltd. 1. Mixer adopts disc round and extrusion molding technology, with the technological requirements, pastry products good appearance, uniform size, surface brightness and exquisite texture, good toughness. 2. Pieces to send, send filling adopt twisted-pair cage structure, digital frequency conversion control, can be arbitrary regulation, throughput and's dumplings. 3. Pieces as long as the dough with stuffing into the feed port, boot can automatically rounded, molding, products out of shape not easily. 4. The function is all ready, wide applicability.Can be different depending on the species of the skin and stuffing, making dumplings, sweet buns, pumpkin bread, milk emperor package, containing stuffing, steamed bread, moon bag filling food, etc. 5. Mixer main parts adopt stainless steel and aluminum alloy materials, beautiful shape, accord with the food sanitation standards. 6. Reasonable structure, forming, into a paste, into the surface and control panel are independent motor drive, not easy to happen even failure, and maintenance and dismantling convenient cleaning. 7. High degree of automation, quantitative, accurate and can be freely within 5 minutes operation, no experience in one or two per capita can exercise machine. 8. 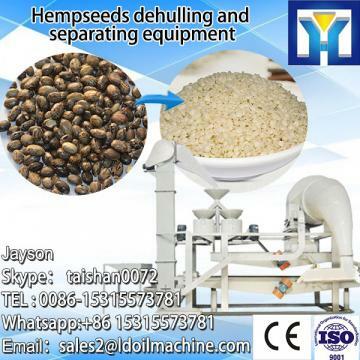 The machine for flour quality is not high, and is suitable for various kinds of workplace. For the whole SYTY-20 automatic glue pudding/rice dumpling making machine,warranty is 12 months,within 12 months,if have equipment quality problems,we will provide accessories freely. After the expiration of the warranty period,if have spare parts problem,we only receive the cost of required replacement parts.We commit we will provide free technical support of equipment all whole life. Our company has engaged in producing and exporting SYTY-20 automatic glue pudding/rice dumpling making machine for many years, and until now, our machine has exported to overseas market, such as Brazil, India, Indonesia, Russia, Thailand and so on, and get the foreign customers' unanimous praise. We believe that you purchase Shandong Leader Machinery Co.,ltd. SYTY-20 automatic glue pudding/rice dumpling making machine is your best and sensible choice.